Such a great gift! 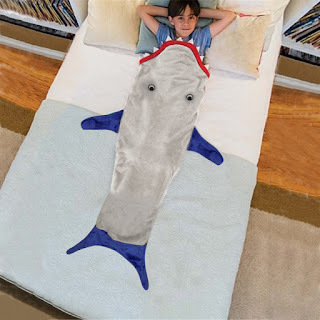 Head over to get one of this Kids Fleece Shark Blanket for ONLY $13.99 (Retail $27.99)! Your little ones will be cute and snuggly in these adorable fleece blankets! The perfect item to keep them warm while enjoying fun time reading books, iPad or watching movies. Makes a perfect gift this Christmas or anytime of the year!